When feeling guilty stop and pause and then devote yourself to serving the oneness. You are not here to serve the individual you are here to serve the oneness. Others may think they know what you owe them or should give to them but they are often times seeing through their own lense of confusion. Many are confused about appropriate giving and receiving. 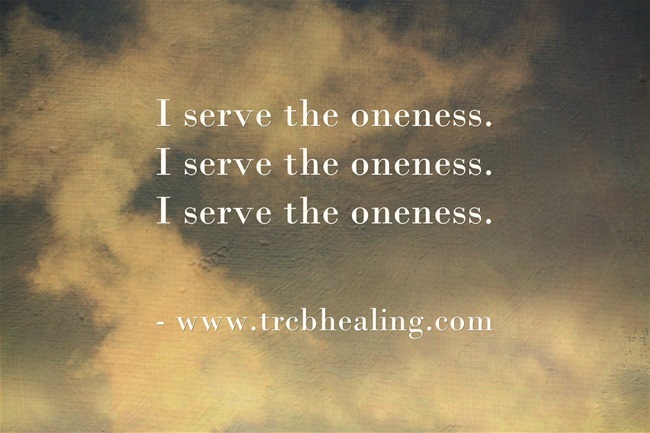 And so step back and devote yourself to serving the oneness. When you serve the oneness you do what is best for all concerned. Sometimes what is best for all concerned is that you take a day for yourself. Sometimes what is best for all concerned is that you say yes and sometimes what is best for all concerned is that you say no. Be okay with disappointing others. Perhaps because you are disappointing them they will be freed up to find their good elsewhere. Remember rejection is the universe telling you that you are going in the wrong direction. When you reject others you are letting them know that they too are going in the wrong direction. Do not feel guilty or badly about this. This is necessary, and is in fact the loving thing to do. Devote yourself daily to doing what is best for all concerned even if it is not what is wanted by those around you. Do not allow others to push you into relationships that are not right for you at this time. Be strong. Be sensitive. Be gentle. Be kind. But say no when you need to say no. Devote yourself to serving the oneness and you will know what is yours to do and what isn’t. Devote yourself to serving the oneness and you will offer your full contribution and do that which you came here to do. Protect your time. Protect your energy. Listen deeply and you will be guided. Feel guilty no more. Go forward with confidence and trust and faith. Live a guided life and seek to please the guides who are watching over you rather than the individuals in your life. Sometimes what is attuned will be pleasing to others and sometimes it will not. Train yourself to be okay with this. Your issue is that you lack confidence to know if your decisions are wise or not. All you can do is devote yourself to serving the oneness and see what actions bubble out from that place. As you live your life you will come to know which decisions are in alignment with the oneness and which are not. Give yourself permission to make mistakes while you aspire to doing the best that you are able. Over time this discernment will become easier. For now: affirm that you are devoted to serving the oneness and do the best you can knowing that your skill in reading the energy will improve and get stronger over time. Be committed to serving the oneness and steadfast in your desire to listen deeply so that you can do that which you came here to do. In the end you will regret if you give your energy to projects, people and situations that are not meant for you at this time and so listen deeply and walk your own path with grace, courage and convinction while staying open to learning as you go.